An efficient air conditioning system provides the ‘ideal’ temperature and environmental conditions at which we feel the most comfortable, whilst using the minimum amount of energy. Such systems also provide uniform air distribution throughout the space they are designed to cool (or heat), so that areas do not become uncomfortably hot or cold. Obviously, what constitutes ‘ideal’ varies from person to person – and, of course, according to climate and humidity – but, in temperate climates, air conditioning system manufacturers recommend temperatures between 24 and 25 degrees Celsius in the summer and between 17 and 19 degrees Celsius in winter. Indeed, doctors recommend that you should not operate air conditioning systems below 23 degrees Celsius during the summer, because air conditioning draws moisture from the air, causing irritation to the mucus membranes of the nose and throat, a dry cough and a runny nose. It’s important to note that you don’t need to operate your air conditioning system constantly, especially if you leave your house during the day. If you turn off your air conditioning system before you leave and on again when you return, the system actually works more efficiently than if you leave it running all day long. If you operate the system only when necessary, rather than constantly, you’ll save energy and reduce the amount of wear-and-tear on the fans and other components. However, when you return home, you shouldn’t automatically put your air conditioning on the coldest possible setting and let it run full blast. All that will happen if you do this is that the indoor temperature will plunge, overshoot the ‘ideal’ temperature and make your home feel uncomfortably cold. It’s popular fallacy that an air conditioning system needs to do any more work to cool your home at the end of a hot day than if it had been operating constantly, at a higher thermostat setting, throughout the day, so simply set the thermostat to the temperature you require. The more often your air conditioning system operates the more likely you are to experience problems with clogged or dirty air filters or frozen evaporator coils, which can lead to further problems, such as ‘short cycling’. ‘Short cycling’ occurs when an air conditioning system constantly turns on and off, as a result of overheated components and causes frequent breakdowns and higher energy bills, not to mention huge swings in temperature that will make your home feel uncomfortable. Note that short cycling can also occur if your air conditioning system is too powerful for the space that it is cooling. Strictly speaking, an ‘air conditioning’ system should control not only temperature, but also air quality, air movement and humidity. 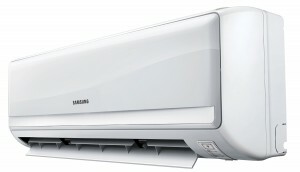 However, many commercially available systems simply cool (or heat) the air in your home. As far as air quality is concerned, switch your air conditioning system off at dusk, open your windows to ventilate your home and maintain high air quality and close them before the temperature rises again the following day.